Last week I set up an appointment with Kevin Lee to learn more about the Mercedes line and lease program. My lease in my Lexus IS 300 was coming to an end and after having 3 Lexus leases in a row I was considering getting into something completely different. He was GREAT! Before anything he spent time with me to get to know my likes, dislikes , what's important to me in a car etc.... he answered all my questions and even knowing I wasn't going to buy as yet spent time with me on a test drive. When coming back inside I spied a beautiful red 2019 CLA 250 with AMG accents on the showroom floor! I fell in love with it!! I expressed "that's the one!!" :) Kevin is no pressure!! He knew I was there to educate not purchase and sent me off on my merry way! Well...over the rest of the week and weekend I couldn't stop thinking about that beautiful red car and was bummed I still had time in current lease. I reached out to Kevin to see if they expected another one just like it in the coming weeks as I know that one probably wouldn't be there when I was ready. He responded quickly to my email... "Let's see what I can do to get you the one on the showroom floor"....He did it!!! I'm now driving a beautiful red 2019 CLA 250. Easiest car purchase EVER!! Thank you Kevin and to the rest of the team at Mercedes Benz of Lynwood! I love my new car!! 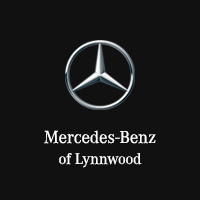 Welcome to Mercedes-Benz of Lynnwood, your local Mercedes-Benz dealership serving drivers in and around Everett, Edmonds, Bothell, Woodinville, and Seattle. Visit us to shop for your next luxury vehicle, discover your financing options, or have your car serviced. No matter what, you’re guaranteed an unparalleled experience thanks to our sales and service representatives who focus on what matters most—your complete satisfaction. Come to Mercedes-Benz of Lynnwood to browse our new Mercedes-Benz inventory, first and foremost. We have the latest models in stock, in a variety of trims and colors, meaning you’re sure to find just the Mercedes-Benz you desire. Check out the certified pre-owned Mercedes-Benz vehicles we sell, all of which have been thoroughly inspected and meet rigorous standards. Whichever route you go down, our finance department is at the ready to arrange a loan or lease package that makes sense for your budget with monthly payments you’re comfortable with. Even when you drive off in your Mercedes-Benz, we encourage you to return down the road for routine maintenance and extensive repairs alike. Our certified technicians know Mercedes-Benz vehicles inside and out, and they even use authentic Mercedes-Benz parts to keep your car running as it was intended. Allow Mercedes-Benz of Lynnwood to redefine the way you experience luxury vehicles. Head to our dealership at 17800 Highway 99 in Lynnwood, WA, and don’t hesitate to get in touch if we can be of any assistance beforehand. We can’t wait to work with you!